A Christmas classic that can be enjoyed at any time of the year, our Paleo gingersnaps are made with almond butter, egg, aromatic spices and powdered ginger. Ginger is an amazing spice. It relieves muscle pain, settles the stomach, acts as an anti-inflammatory and can help regulate your blood sugar while you take a spoonful of your carrot and ginger soup or sip a hot cup of tea. Imagine a simple ginger cookie doing all of that for you! Of course, it is wise to limit your sweet tooth, but when a recipe comes your way with health-affirming ingredients, you had better take it – and enjoy it too! If you like your cookies on the crispier side, simply press them flatter on the baking sheet and increase the baking time, being careful not to burn them. Like your gingersnaps more moist? Don’t press them down too hard. In the end, be sure to transfer the cookies to a wire rack to cool them completely. It may be a test of your patience to wait for them as they are emitting a mouthwateringly delicious aroma, but room temperature (or chilled!) is the best. Any way you can introduce ginger into your life, do it. How about a ginger-turmeric orange juice to freshen up your day? Not only does ginger add incredible flavor, it benefits your health and well-being too. Mix all ingredients in a bowl, stir until smooth. Line a large baking sheet with parchment paper and scoop out pieces of dough about 1 tbsp. in size. 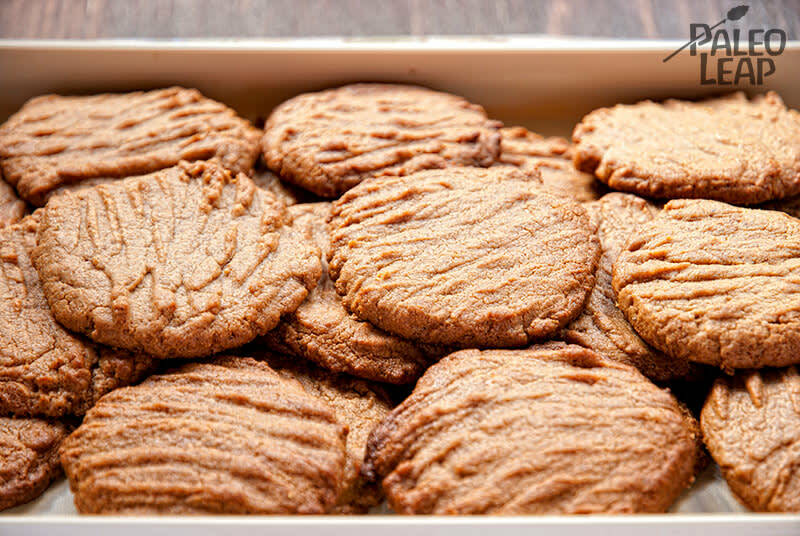 Press them on the parchment paper in the shape of a cookie – the gingersnaps won’t expand or change shape when cooked. Place in the oven to bake for about 12 minutes, until just cooked.